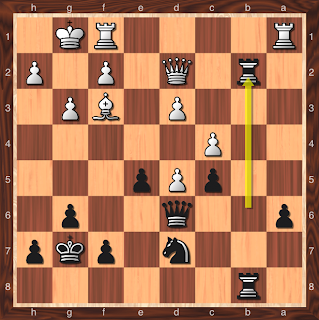 Black has offered to play a Queen's Indian, White prefers to play a Botvinnik system English opening. 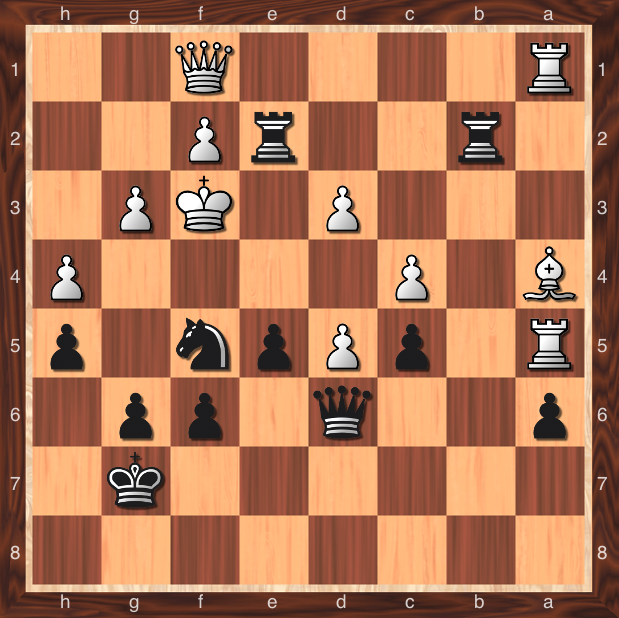 With his last moves White is preparing the thematic b2-b4, which to my ignorant mind is key to the system. With the center virtually locked, breaks on the flank are not only reasonable but necessary. 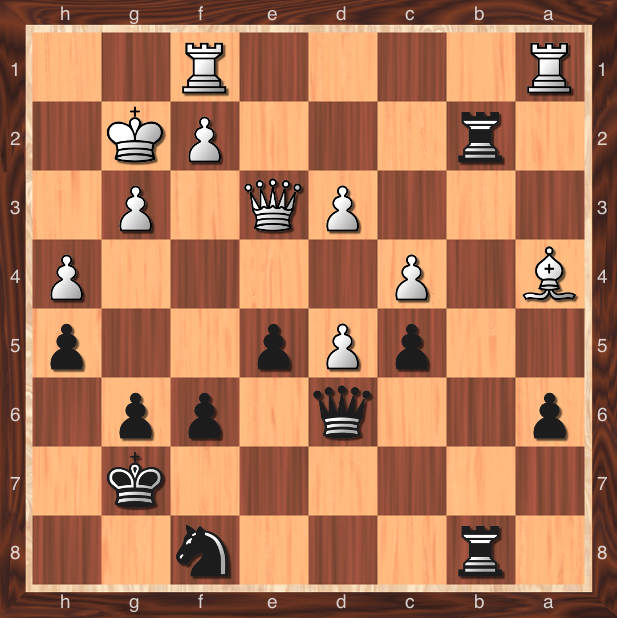 If White delays, Black can prepare ....b7-b5 with the same ideas. 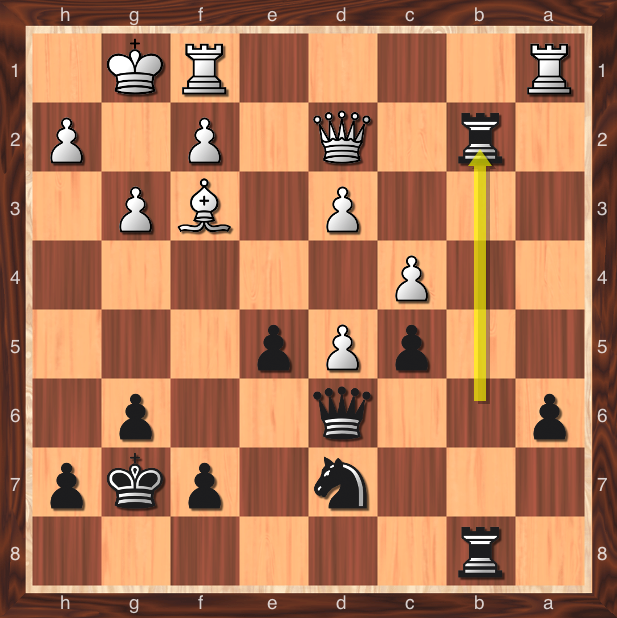 Now Black's position is unpleasant, to say the least. 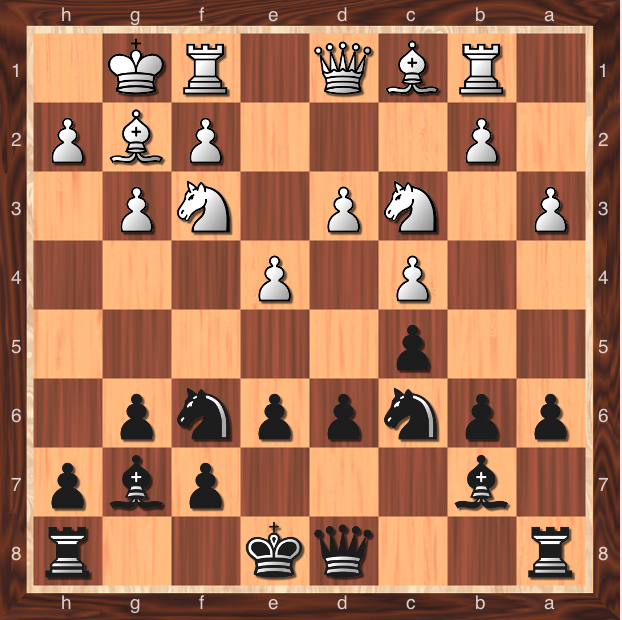 His only active play can come from breaks on the b or f-file, but with White's dominance in the center, such play is likely to end poorly. My mind already drifted toward defeat at this point. Favors for favors. 23. Rb2 was much stronger, preparing to oppose Black's doubled rooks with his own doubled rooks. 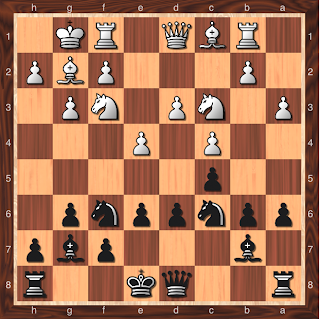 But then Black misses the big chance - ....b5! For what else was he putting his rooks on this file? Surely not just to trade them off, endgames for Black promise passive defense. 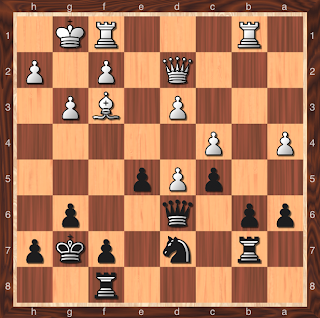 Why does White avoid the trade of rooks? 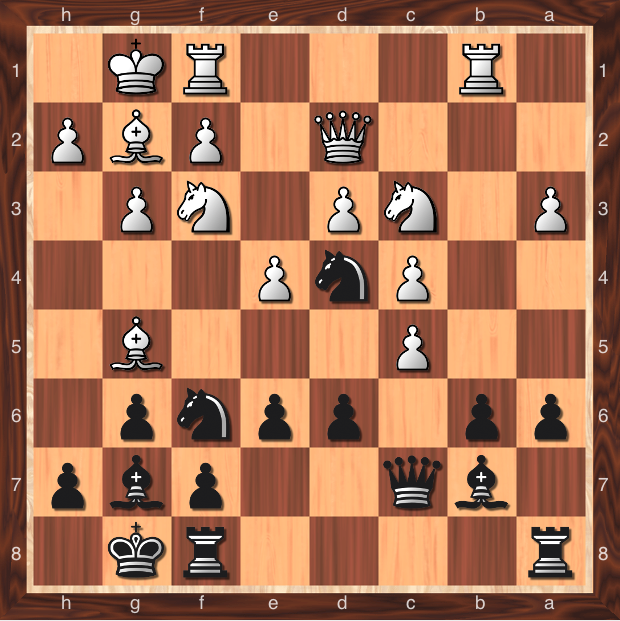 Only Black can benefit from tactical continuations. Now Black dreams of doubling his rooks on the 7th rank. Remarkably, he even manages to achieve this, albeit with some help. White's position is still preferable, but he has opened up the possibility of all three results. Ugh. 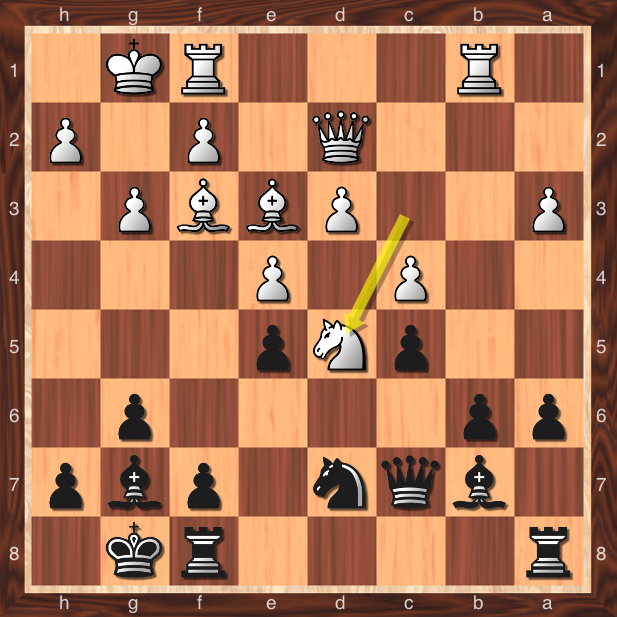 ...Nf8 was forced, both tactically (the a-pawn) but also positionally - the position with queens and rooks only must be a win for White. 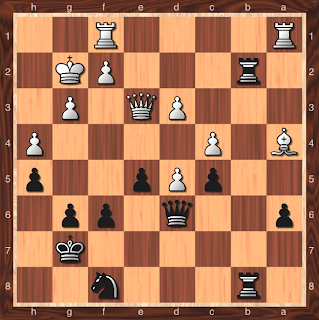 As it is, with his bishop outside the pawn chain and terrorizing Black's back ranks, White has a decisive positional advantage. I was in time trouble by this point, and this on the rickety old wind-up clocks once so prevalent at Westfield. However, by good fortune I had stayed awake to tactical possibilities - after all, this is all I could hope for. How could I get my knight back in the game? 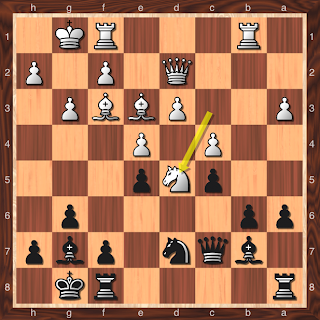 Exposing the subtle fault in the bishop laced on c6 - it is defended only by the passed pawn on d5! That pawn can now take my knight, but....at the price of the bishop, and then its own life. 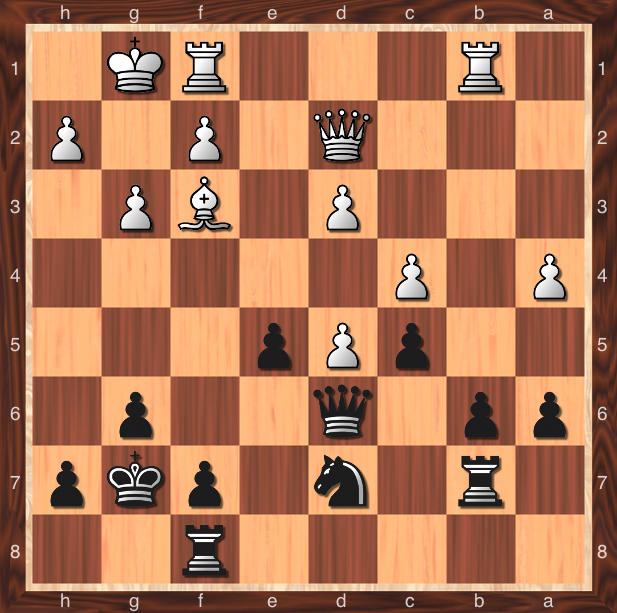 White still has a reasonable position, but Black now has active threats, and the sudden change in the momentum provoked my opponent into further mistakes. A common phenomenon! 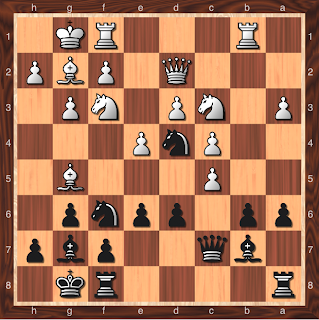 And so....a game played with indifferent skill by Black, saved only by a remote tactical opportunity in what should have been a lost position. Such is amateur chess! But we'll see many, many examples where I'm on the receiving end of bad fortune.